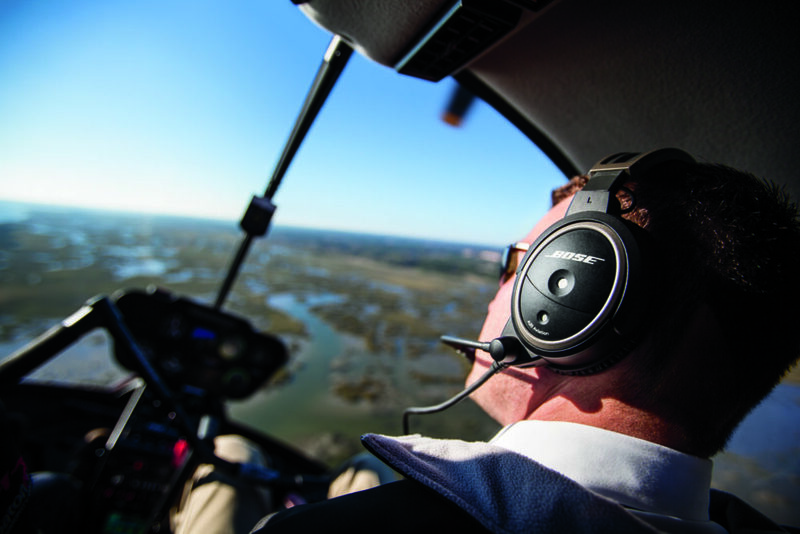 Bose was the first company to introduce the noise reduction headset over twenty years ago and today, they are still at the forefront of ANR technology with their Bose A20 headset. The Bose A20 headset has been tweaked and modified over the past few years to come up with what, in my opinion is one of Bose’s finest products. Over the past 4 years I have used my Bose A20 headset for both Commercial flying and General Aviation and in both instances, it has never let me down. Let me start first with a little look at what the headset has to offer, according to Bose themselves. 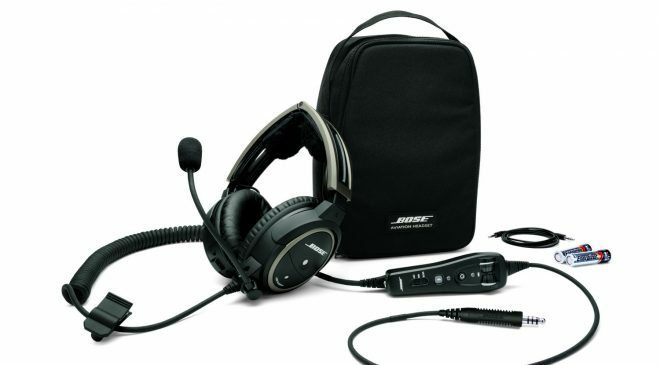 The headset is marketed on the Bose website under the heading “Plug in. Turn On. Go Flying”, it boasts 30% less clamping force (more on that later) and 30% greater active noise reduction than conventional aviation headsets. 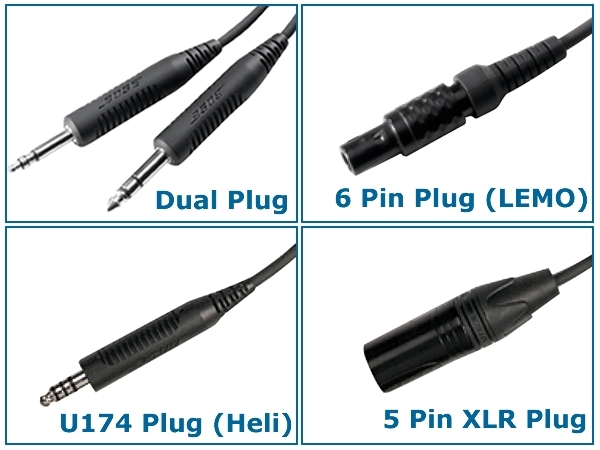 There are a number of variants available, with or without Bluetooth and all coming with a range of different plug interfaces. Weighing in at just 340g, the headset is light with sheepskin cushions for comfort. 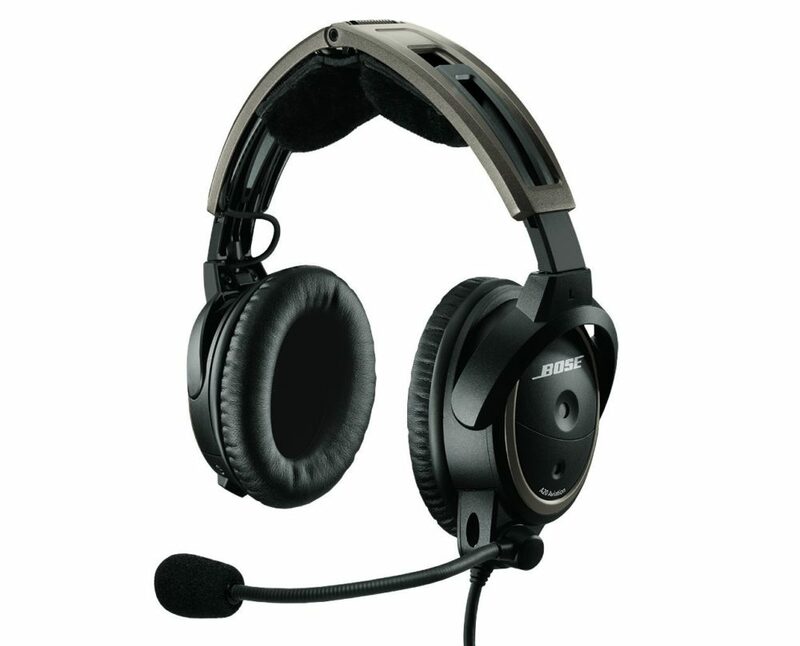 The headset has crystal clear audio for both communications and music. The Bose A20 has audio prioritisation, which lets you mute an audio signal when receiving a communication (great in the US), or lets you mix both audio inputs together. Bose’s A20 headset comes with an audio control panel, which Bose says is ergonomically designed including auxiliary audio input, ideal for dedicated GPS and traffic warning systems. It also has features such as ‘mute’ and ‘mix’, more on which later. All headsets come with a choice of cable and plug and a branded Bose headset bag. So, on to my experience. I was a little reluctant to purchase the Bose A20 headset at first, I was the proud owner of some Sennheiser HMEC 250s, which I’d had since I started my commercial training. A nice light weight set that only cost me £400, a princely sum, but over half the cost of these shiny black A20s. However, after years of heavy use in a commercial environment, one day, the boom fell off, never to be seen again, cue the Bose A20 entrance in to my life. I’ve not looked back since. After getting over the initial shock of paying nearly four figures for something to go on my head, I was very excited when the rectangular box arrived next-day delivery. I rushed to open it. Inside was a Bose branded bag, the headset itself and a number of little gadgets and bits of paperwork. I was excited to use it, so in my haste I rushed down to my local airfield and got airborne. The A20 requires 2 x AA batteries to activate the noise reduction feature (unless you’re using the LEMO style plugs which negates the need for batteries), the headset is very usable without the batteries, and when the batteries die, it essentially reverts to a passive headset, the first time it does this is when you really realise how good the noise reduction is. Using the headset is very straightforward, Bose have designed the headset so that the microphone boom can be placed on either side of the headset which is particular great if you sit on the same side of the aircraft all the time as you no longer end up with cables running across you and around your kneeboard. The process is simple to swap the boom, it’s all detailed in a little instructional leaflet and there’s a handy video guide online. Once you have it set up, there are a couple of switches you may wish to play around with inside the Bose A20 battery compartment, these allow you to select which audio has priority and whether you want any music or alerts that may be playing through Bluetooth to be mixed in with communications or whether you want the headset to automatically cancel out the inputs when for example ATC are talking. You may want to experiment with this and in my opinion this may be more focused on US pilots who may not communicate with ATC for long periods of time, the UK and it’s concentrated airspace may not allow this feature to be used to it’s best. As far as the fitting of the headset goes, it has a little bit of clamping going on but far less than the traditional David Clarke style headsets, the cups are over ear cups which for me is far more comfortable than on ears and the cushioning is to a good standards, with sheepskin covers for extra comfort. The cable is long, as long as you’ll need, and half way down it meets its audio controller and then splits to two cables for the jacks, or one if you’re using the alternative style plugs. Once on your head, you simply press the power on button and hey presto, you’re in noise cancelling world. There are two volume selectors on the audio panel which allow you to control each ears input level. Now, as I mentioned previously, I have used the Bose A20 headset for GA and commercial flying, comfort wise, I’ve never had an issue on a GA flight (longest probably 3 hours) and I haven’t really felt the need to adjust them. However on longer commercial flights, I’ve used the headset for up to 10 hours in a day, they do start to get a little uncomfortable at the top where the headrest joins. However, they are far more comfortable than my previous Sennheiser ANRs and also David Clarke ANRs that I use as a back up set. Wearing sunglasses with the A20 headset is no real issue, it’s comfortable as it doesn’t clamp as much as alternative sets, however the sunglass arms can lift the edge of the ear cups away from your head slightly which does reduce the quality of the noise reduction and if you are wearing a set of sunglasses with thick arms, you may find them a little uncomfortable. As far as sound quality goes, I can’t fault it. ATC communications are crisp and clear and I’ve never had an issue, intercom is perfect, although I sometimes have small issues in light aircraft when my passenger is using David Clarke’s, but this seems to be a common problem on light aircraft with mis-match headsets. When playing music through either the auxiliary cable (provided) or the Bluetooth interface, the sound quality is excellent, and even better due to the noise reduction outside of the headset. I’ve used the Bose A20 in conjunction with traffic and terrain alerting software and have found the audio alerts to be just as clear as the music and comms and is very handy when using iPad based software as the iPad sound is usually drowned out by the noise of the engine. Headset life. Good question! Well, let me start with the batteries. If you opt to use some branded mid-range batteries you should expect to get 45 hours worth of use from the headset, the light on the control panel will give you warnings when your battery is low, at 8 hours remaining and 2 hours. With regard to the headset life, well, it comes with a 5 year warranty and Bose are excellent when it comes to returning and repairs. I’ve owned my Bose A20 headset for four years now and it’s still like new with just the odd cosmetic mark from use. The equipment that comes with the Bose A20 headset is good quality, all the basic stuff is included, microphone sock, ear seals batteries, auxiliary cable and two clips to allow you to clip the cabling out of the way (mine are long gone sadly as they don’t permanently connect to the cable) and a headset bag. Whilst not the smallest bag, it provides good cushioning to protect your £1000 headset from damage, it also has a pouch on the rear which is big enough to fit an iPad mini inside. 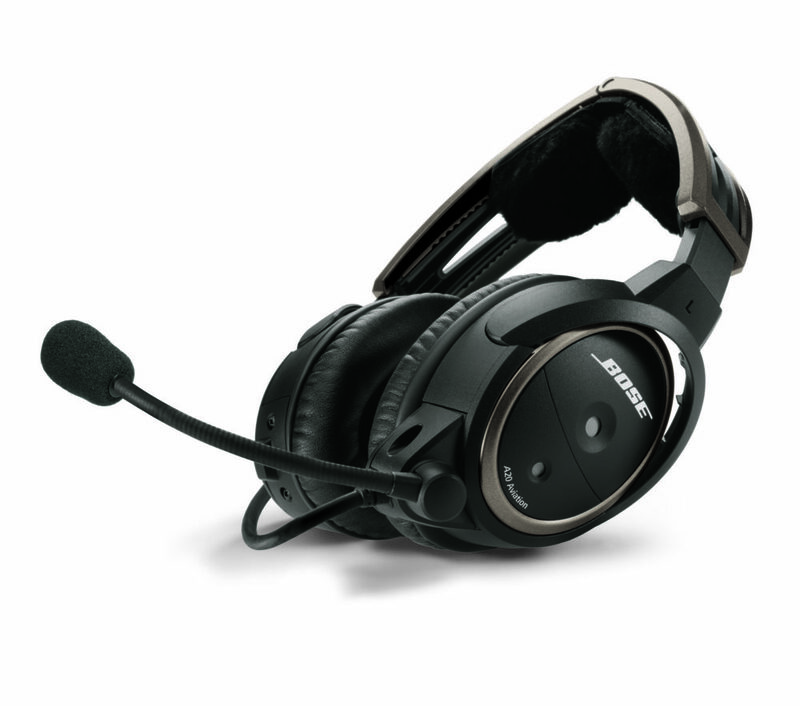 With regards to pricing and availability, the Bose A20 is vary rarely discounted and can be purchased from any pilot supplies website or shop, however I would recommend purchasing direct from Bose for the same price. From time to time they do have offers on, frequently giving away a free Bose SoundLink Revolve Speaker worth £165. So if you’re not in desperate need to buy now, it can be worth hanging around a little to see if they bring this offer around again. Otherwise if you’d prefer to pay a little less there are often a number of pre-owned A20s listed on eBay. So, after all of that, let me summarise. The Bose A20 headset is a fantastic piece of kit and in my opinion worth it’s slightly eye-watering price tag. If you spend a lot of time in the air then you will appreciate it’s superior comfort and it’s excellent sound output as well as the addition Bluetooth features. The 5 year warranty is also worth it’s weight in gold as sometimes, as we all know, items like this do have their faults. With regards to which version to opt for, I would personally recommend paying the additional £89 for the addition of Bluetooth, to future proof yourself if you decide to upgrade to aircraft or iPad traffic alerting and avoidance software. In a vote of confidence towards their product, Bose offer a 30-day risk free trial, so if you don’t like the headset, simply send it back. Once you go Bose, you won’t go back!